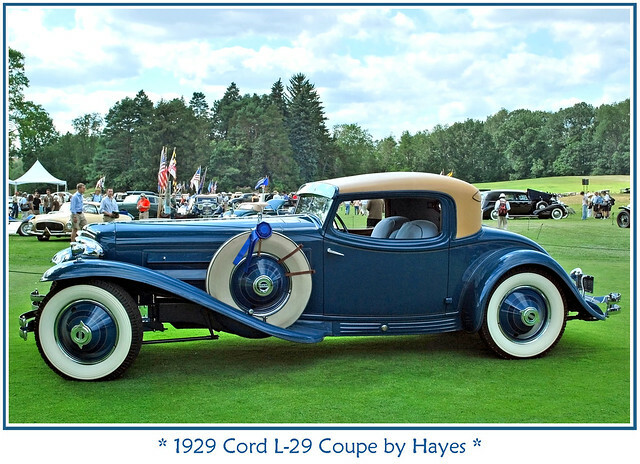 The Cord L-29 was revolutionary, using a front-wheel drive system rather than the popular rear-wheel drive configuration. 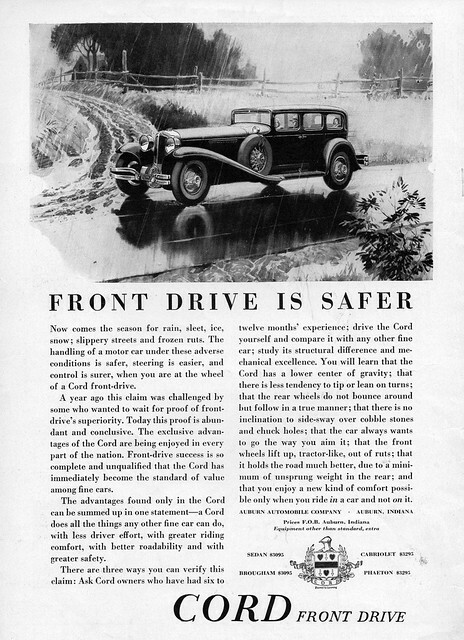 Many believed that having the front wheels be responsible for turning, carrying the bulk of the weight, providing stopping power and for driving were too much. With the rear wheel drive systems, the weight could be dispersed throughout the body to take advantage of weight distributed. 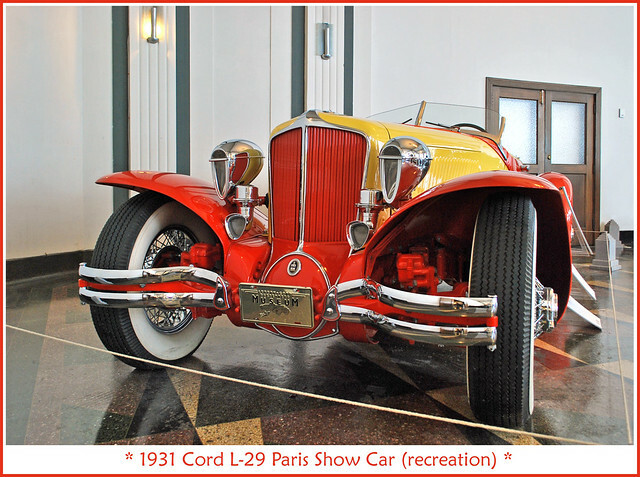 Cord wanted to be different and explore the possibilities of a front-wheel configuration. 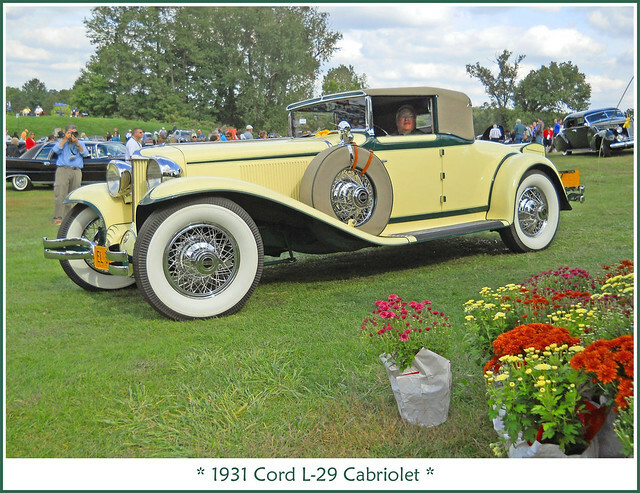 Errett Lobban Cord was a visionary, promoter, young and intelligent individual when in 1924 he joined the Auburn Automobile Company which was under performing in respects to sales. 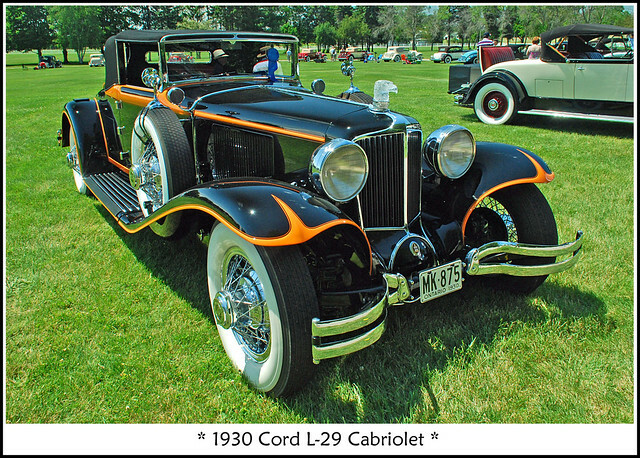 Cord was able to revitalize sales and by 1926 he was in control of the company. 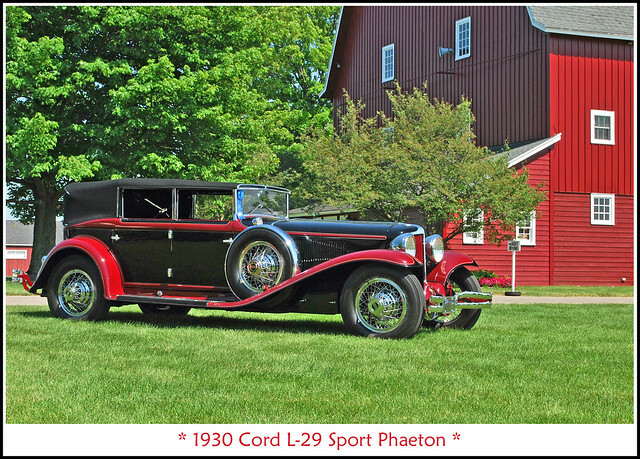 He then began buying up companies such as Duesenberg Motor Company and Lycoming and brought them under the Cord Corporation. 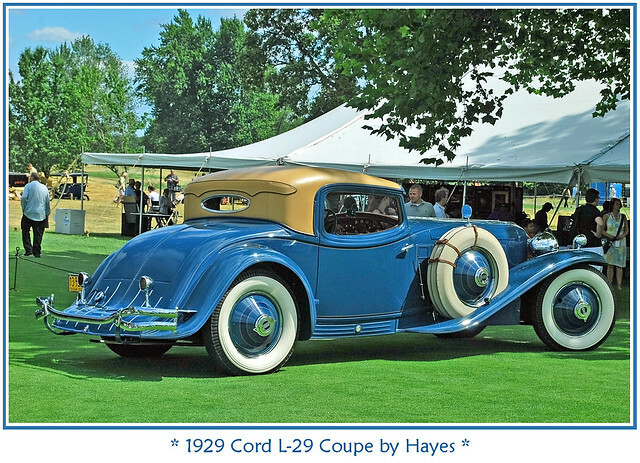 With control of Duesenberg and Auburn automobiles, the Cord Corporation was positioned for success. What the company lacked was an automobile that could fill the price gap that existed between these two nameplates. 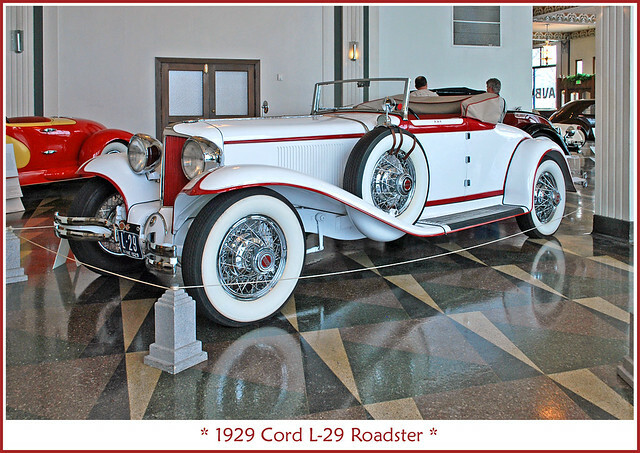 The result was a luxury car named after himself, the Cord L-29. The Cord L-29 used a front-wheel drive system. 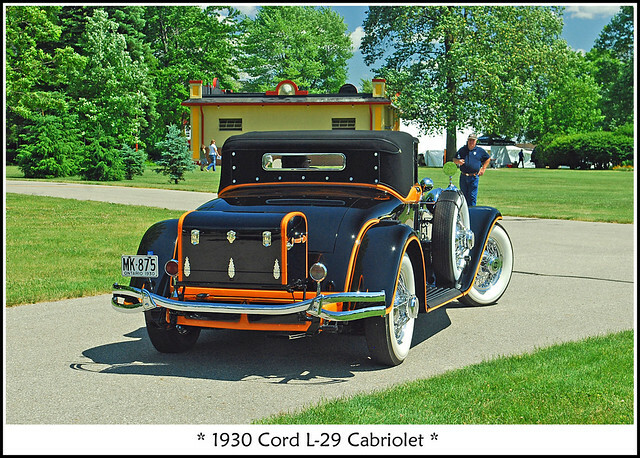 Many people believe Cord used the front-wheel drive configuration because he wanted to exploit the advantages of a low-profile design. 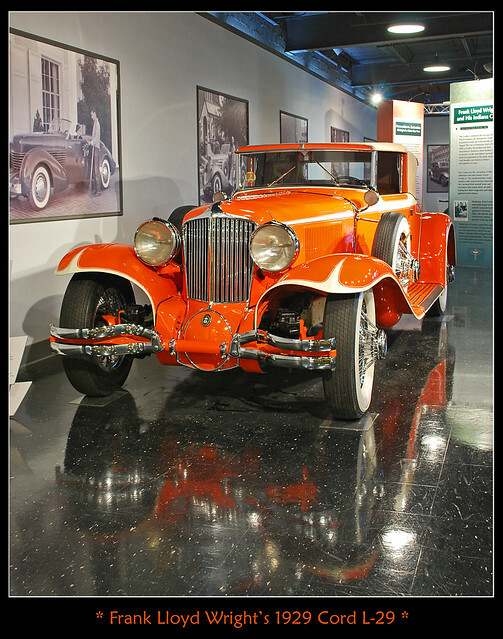 Rear-wheel-drive cars sat higher above their driveshafts because the engineers had not figured out how to let the shaft run through the passenger compartment. 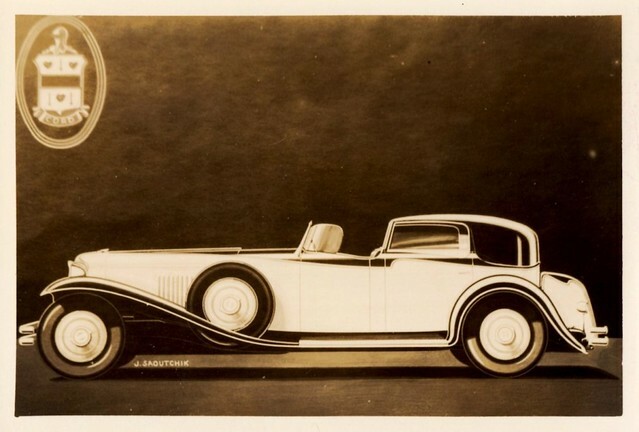 Cornelius Van Ranst was tasked as the chief engineer for this unique automobile. John Oswald, a man responsible for many of the Auburn designs, contributed to the L-29. The result was dramatic styling that was attractive and elegant. Under the hood lurked an 299 cubic-inch eight-cylinder Lycoming engine. The 125 horsepower engine could carry the 4600 pound vehicle to a top speed of just 77 mph, a respectable speed but not the fastest vehicle available. Since it was a front-wheel drive system, the normal mechanical configuration needed rearrangement. The transmission and differential were in the front, ahead of the engine. The hood was very long, a result of having so many mechanical components in the front. 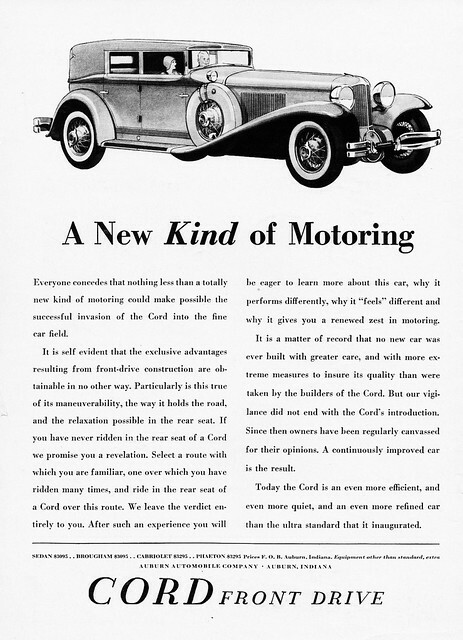 The rear suspension used leaf springs and a beam axle while the front used a deDion type solid axle with quarter elliptic leaf springs. 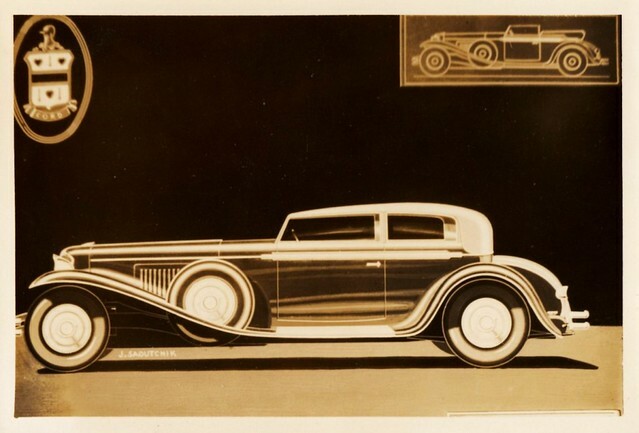 As was the case in early years of automotive construction, custom coachbuilders were often tasked with providing the bodywork and designs. 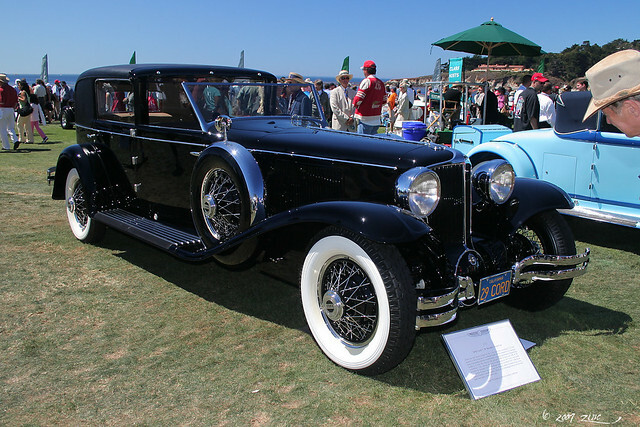 In 1930 an L-29 with styling courteous of Count Alexis de Sakhnoffsky was bestowed with prestigious awards at the Monaco Concours d'Elegance. Two months after the introduction of the Cord L-29 the stock market crashed and the Great Depression began. Just like many other manufacturers during this time, sales plummeted and production was low. 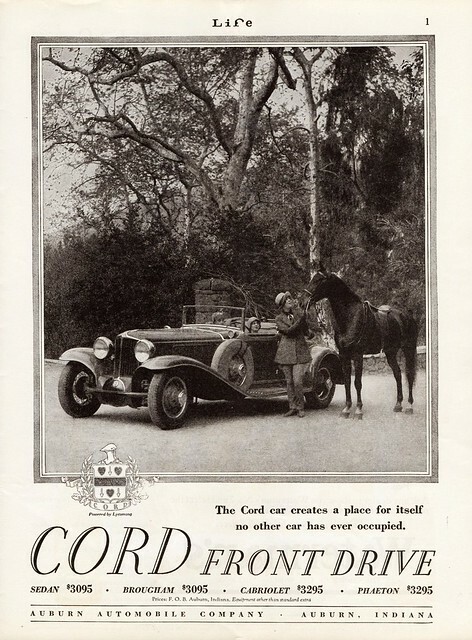 To compete, Cord dropped prices in 1930 in an attempt to stimulate sales. 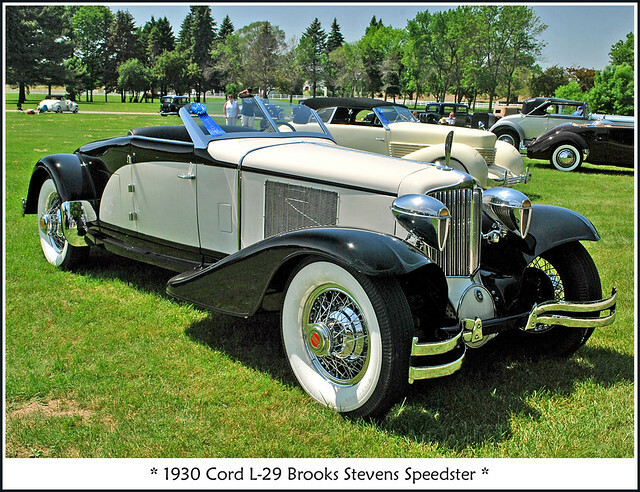 For 1931 a large engine producing just over 130 horsepower was installed under the hood. 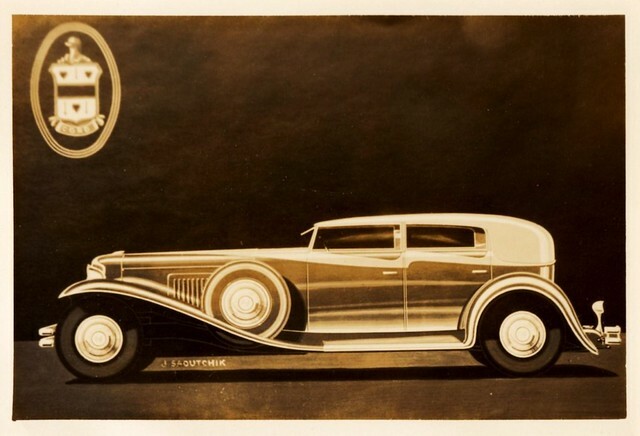 Unfortunately, this was not enough and production ceased at the close of 1931. 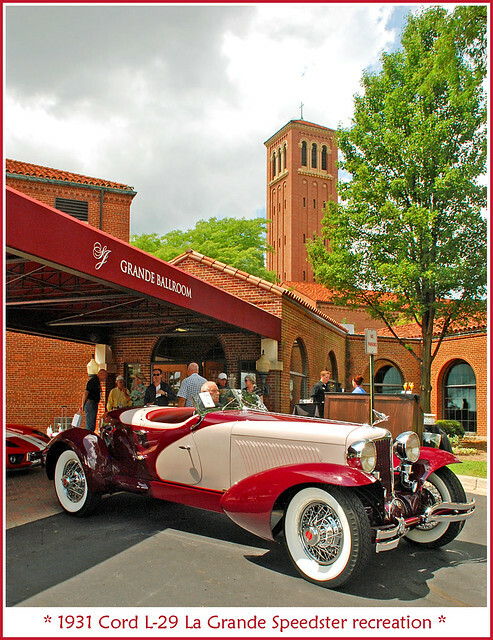 During its production run lasting from 1929 through 1931, fewer than 5,000 total examples were created. 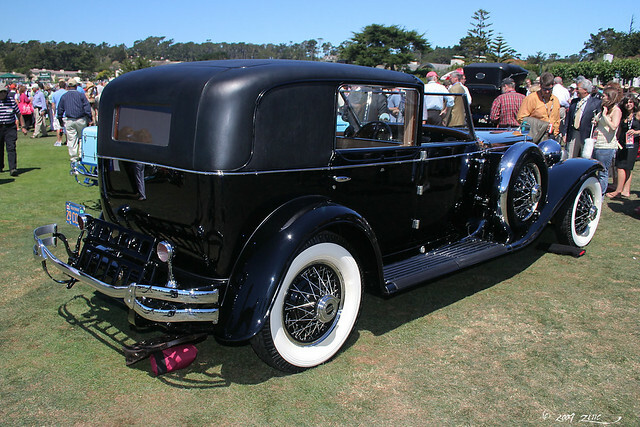 In 1930 only 1,873 united were produced. 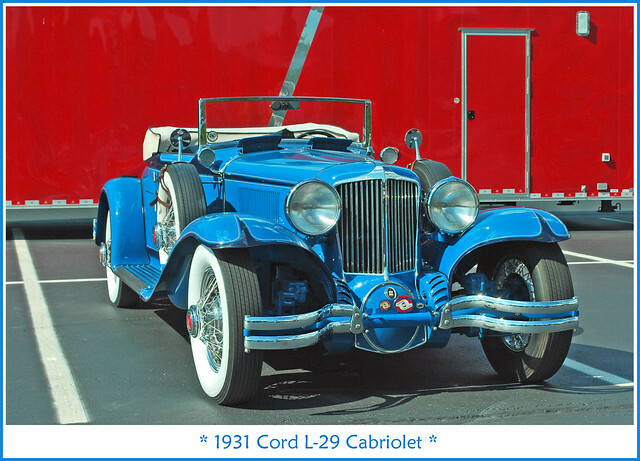 Although production was halted in 1931, there were 157 L-29's dubbed as 1932 models. 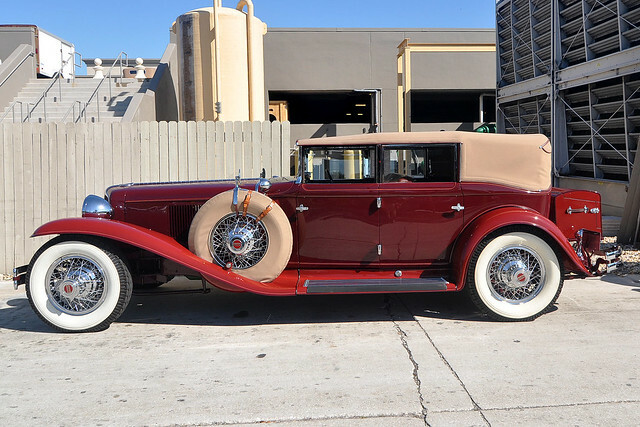 How strange, I covered 810/812 rear-wheel drive derivatives (Graham Hollywood/Hupmobile Skylark) but the original Cord has been left out of my scope. Never mind, I'll fix it. Oh, come now! You surely cannot leave this story hanging. You can't stop at the L-29. You have to cover the 810/812, particularly as you're reading James Leasor. Come on down, Jason Love, your time is now. There's always Paypal. That way, you can put it on a credit card. They are singularly beautiful cars, though, and I love the original leather on this one. And only $144k! Do they take checks? And by a curious coincidence, there's one up for sale on eBay at the moment. Not sure where to find the other one, Cap'n Tony.